As I have been reading the newspaper this past few days, I have begun to be very interested in a story about a beautiful 5 year old little girl, who has been missing for about a week now. Her 25 year old mother had been charged with human trafficking, child abuse, and prostitution. It is believed that the child was sold into child prostitution. As I read the article online a few days ago, I looked at the photograph posted of the mother and saw cold in her eyes. A mug of a criminal. It was confirmed yesterday that the beautiful little girl, smiling in the photograph next to her sorry excuse for a mother, was found dead on a side road. Her little body left for dead. It was not said what condition the body was left in but I was truly shocked d frightened. I really hoped and prayed this little girl was alive, and safe somewhere, and maybe the mother left her little girl with her Aunt while she ran about her sorry excuse of a life. This frightens and saddens me deeply. I have a 5 year old little girl who I would give my life for. I want nothing but the best in her and will fight tooth and nail for her safety, security, and well-being. God gave lent her to me so that I would guide her in the right path, not to destroy her. There is some light in all of this. Although that beautiful little girl could not spend her life here on earth, God saved her from anymore of the wrath of her mothers ways. There are many mothers and fathers who think that they are raising their kids with just enough of what they can offer their children but are really losing their children and only pushing them into the real world. Children should be children for as long as they can be. Adulthood is only but so far away. Lord, please keep my daughter in your good graces and immense mercy. I thank you. 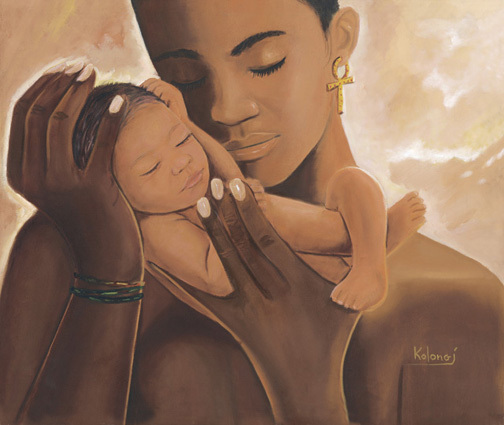 Give us mothers and fathers the knowledge, patience, and virtue to be able to truly love and nurture our children.